The wheel of fortune is currently smiling on Tim and me. Tim is here on a well needed break from his London office and we get to spend time together and recharge our batteries. The sun is also shining, birds sing, flowers bloom, vegetables swell and wine is enjoyed. 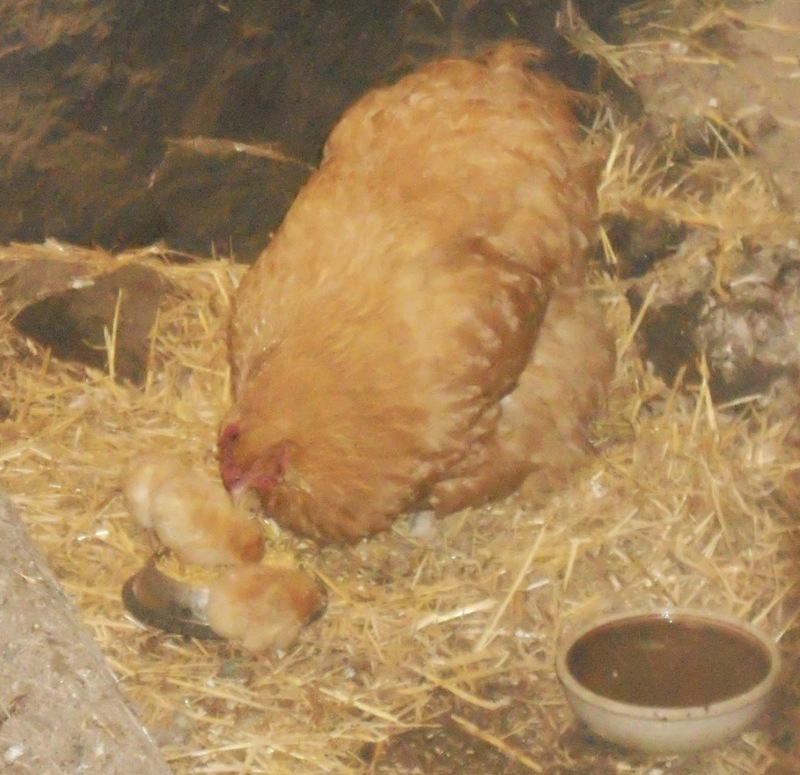 We also have new life burgeoning, Ginger the chicken has hatched 3 chicks, the first of this year and Barry's first chicks. The turkeys are growing very fast and have turned out to be very friendly and chatty. 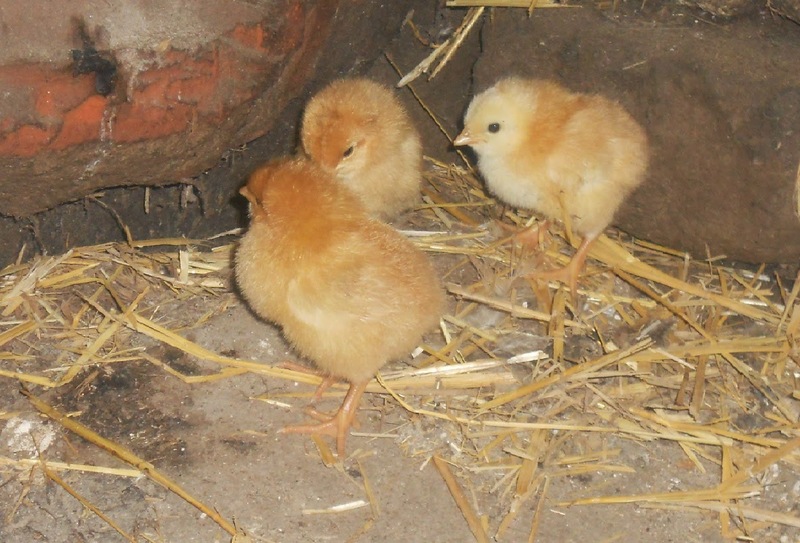 They do however complain loudly if they run out of food, or if it rains. They also 'gobble' at unexpected loud noises. I think we have two males and one female although it doesn't really matter as they are all going to be eaten at the end of the year. The goats are also heavily pregnant. Their kids should be due in the next month or so. They are now much more lethargic and are enjoying the sun although they have their moments of chasing each other and playing together. This will be Pixie's first kid, she is the brown goat, and I am hoping that all goes well. I still need to practice my goat maternity skills after last years disappointing false pregnancy. There is an inevitability about the wheel of fortune, the seasons and life itself. There are good times and bad, the secret is learning to enjoy the moment. Our dogs are good at this and it is a lesson I am still trying to learn.